This one’s so new that the band doesn’t yet have a name. 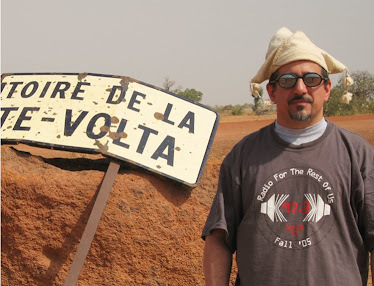 Culture-jamming guitarist-professor Mark LeVine (Heavy Metal Islam) and Reda Zine of the Italian afrobeat band Voodoo Sound Club are spearheading this project, bringing together Arab and Iranian revolutionary artists to record new versions of songs by the original one-man Nigerian Spring, Fela Kuti. First out of the gate is “Zombie,” Fela’s ode to Nigeria’s soldier-automatons, which translates perfectly to the situation in today’s Middle East. 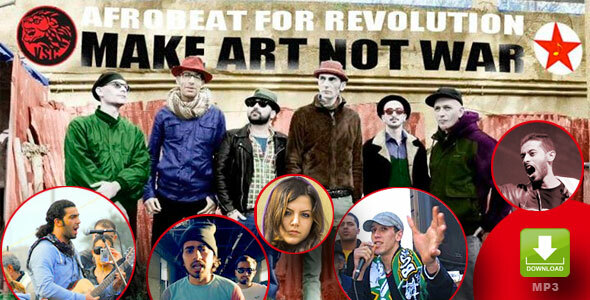 Egypt’s Ramy Essam and Karim Rush, El Haqed of Morocco, Iranian female rapper Salome MC and Refugees Of Rap from Palestine and Syria are all featured on this track, singing and rapping in Arabic and Persian. 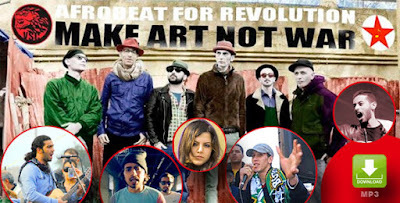 These are the voices of the Arab Spring, musicians whose work prompts threats from the powers-that-be of arrest and death. The project is sponsored by Freemuse, the Copenhagen-based NGO that advocates for and defends freedom of expression for musicians and composers worldwide. The track is available as a free download at freemuse.org, and they promise more to come soon. Yes, please.